The computer mouse has been an indispensable part of computing from the early days, but laptops with integrated touch pads are making the mouse less necessary. 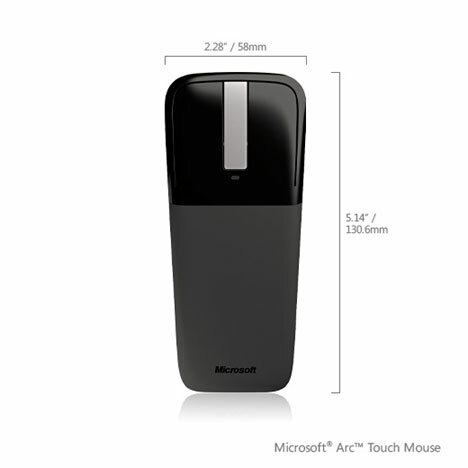 Microsoft wouldn’t dream of throwing in the towel and calling the mouse dead, though, so they’ve developed a shape-shifting mouse that’s flat when you’re traveling but pops up to full size for use at a desk. 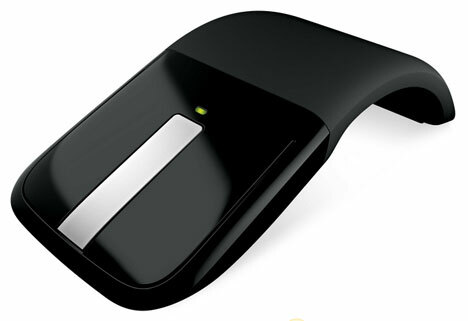 The Arc Touch mouse has a super-slender profile that’s under 15 mm thick at its widest spot. It features BlueTrack technology that lets it work on just about any surface and a capacitive touch scroll strip that lets you scroll at normal speed (by moving your finger slowly) or at super speed (by flicking your finger). It’s set to debut online in December, just before the holidays, at an estimated price of around $70. It’s a steep price for a mouse, but if you value your portability the awesome transforming quality is totally worth it. See more in Industrial Design or under Technology. October, 2010.